I Made Up My Mind To Try. I Tried and Was Successful! The Coleman family hopes that you find the information on this website useful and resourceful. We have shared a bit of Coleman family fun and have also included information about the many men and women who have fulfilled Aunt Bessie’s dreams. We plan to update this website quarterly, so if you have news to share and/or someone who you think we should feature please email us. We would love the opportunity to represent Bessie Coleman at your venue. 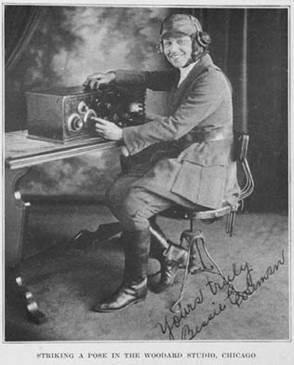 So please feel free to contact us for speaking engagements including “The Life of Bessie Coleman”. A minimum of six weeks advance notice is preferred. Travel expenses and other accommodations may be required.